What is Envy Medical Lumixyl Brightening Cream? Lumixyl is a product that has been developed by the dermatological researchers at the Stanford University. It is known to rely on synthetic peptide which is made up of amino acids to help combat hyperpigmentation in your skin. Envy Medical Lumixyl Brightening Cream – Does It Really Work? What are the Ingredients in Envy Medical Lumixyl Brightening Cream? Does Envy Medical Lumixyl Brightening Cream Have Any Side Effects? Furthermore, it is also known to incorporate time honored constituents which are believed to aid in treatment of discoloration. You are required to fully rub in this formula to help treat spots because it is known to be too thin. Envy Medical Lumixyl Brightening Creme refers to a skin care Skin Brightener product, which is meant to help in eliminating dark spots for a clear skin. It has been also formulated to help eliminate uneven skin tone and thus, help you achieve an improved complexion. It works well through utilizing its ingredients for you to realize desired results. It is well known to brighten your skin and helps you keep a more vibrant skin. 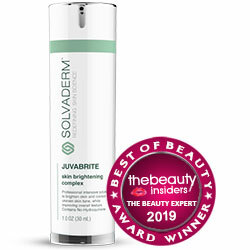 It is a gentle skin care product that causes no irritation on your skin when you use it. The reviews show that it works well for most people. You can order this it through online if you wish to use it and it is priced at $120.00 only. It is a scent free solution which will sit on top of your skin and you may use it at night comfortably. It is meant to perform well as base layer under your cream. It has humectants and emollients for improved skin. Helps in conditioning your skin. Some of its ingredients have been backed by studies and therefore, work well for improved skin’s appearance. Decapeptide-12 – It is responsible in inhibiting the production of melanin and therefore, it helps in reducing hyper pigmentation. Sodium hyaluronate – It penetrates to the deep layer of your skin and help in filling moisture in the spaces between your skin’s connective fibers. However due to oily effect it may not be very much suitable for oily skin as it makes it feel more greasy and sticky. Bis-ethoxydiglycol cyclohexane 1,4 dicarboxylate – It is known to help in conditioning your skin. Licorice root extract – It is well known to help in brightening your skin as well as used for atopic dermatitis. Phyllanthus emblica fruit extract – Provides it anti-inflammatory properties. Panthenol – It boosts the levels of moisture and enhances healing of your skin. Clean your face and dry it before applying Lumixyl both during the night and in the morning. You should avoid the fragile eye area and use at least SPF30 sunscreen while using this formula to prevent hyper pigmentation. Has thirty day return policy for the un-opened products but have certain conditions which needs to be fulfilled before refunding the money. It helps brighten your skin and leads to a more even skin tone. 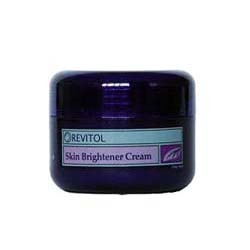 It reduces production of melanin to fade discoloration. The exact dosages of the ingredients have not been provided. The reviews are limited for you to make judgment. Due to certain strong ingredients, may not be suitable for all skin types. There are no known Lumixyl side effects as its components are safe on your skin. Envy Medical Lumixyl Brightening Creme refers to a skin care formula which combats discoloration for an improved skin tone. It works well without causing side effects on you as its components do not cause inflammation, irritation, flaking or dryness. It brightens your skin and hydrates it for improved complexion. However, the reviews are limited and this makes it difficult to gauge whether it works as it is claimed or not.